Coaster Briana Bedroom Mirror CO200704. Contemporary design Briana mirror will give your master bedroom a modern update with a refined look and feel. Finished in a glossy Black finish, collection have a luxurious look that you will love for years to come. 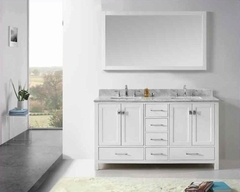 The pieces have sleek cases, with chambered trim, chambered drawer fronts, and brushed chrome knobs for a sophisticated look. 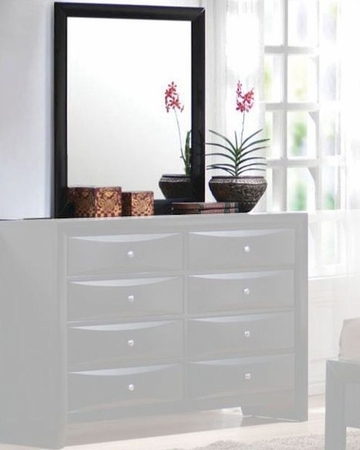 Spacious storage options make these pieces practical in addition to a stylish look. Mirror - 34.5"W x 1"D x 44.5"H.
Constructed of solid wood and wood veneers.